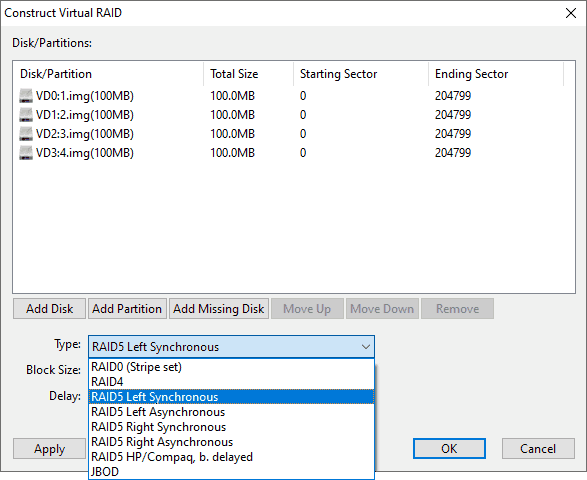 This function serves construct a virtual RAID from its drives and then you can search for lost files or partition from it. Data can be recovered in the same way that they would from normal storage devices. Please note that the constructed RAIDs are just virtual objects and DiskGenius does not do any writing actions to it. 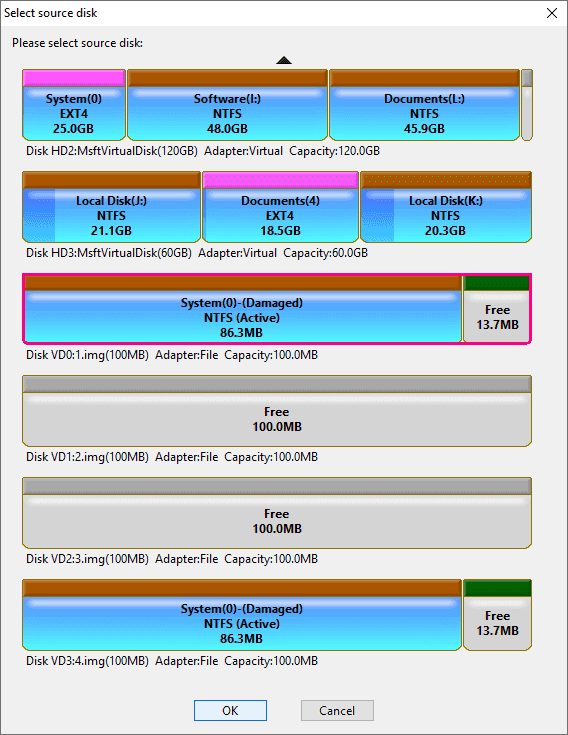 Before starting, you should detach disk from the RAID controller and attach them to computer as individual drives. 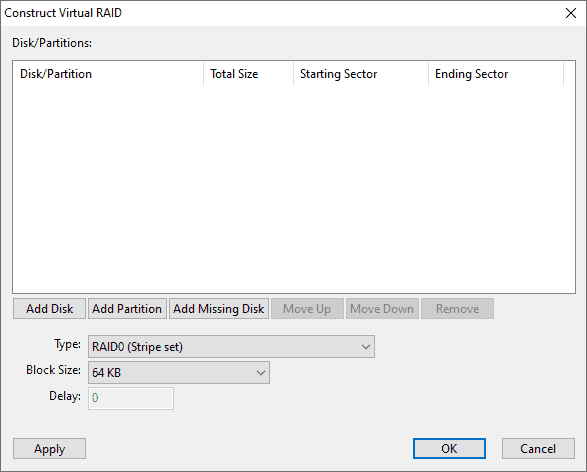 Step 2 Click "Add Disk" or "Add Partition" to add drives. Also, you can modify disk order by clicking "Move Up" or "Move Down" button. Step 3 Select RAID type and block size, and click OK button to construct the virtual RAID. 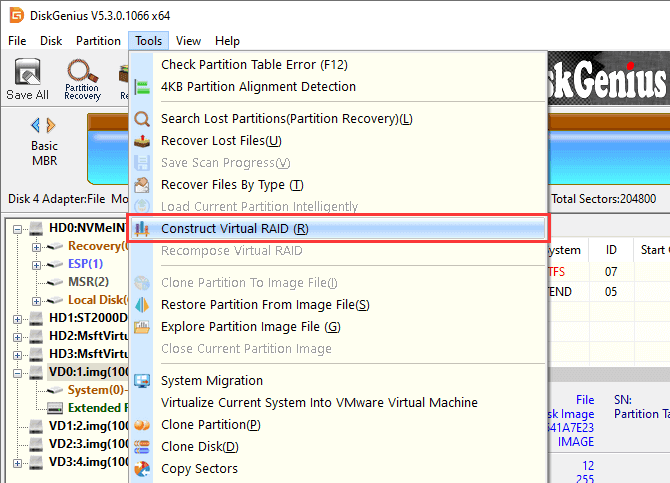 If the virtual RAID is not correctly constructed, you can recompose it by clicking "Recompose Virtual RAID" as follows.